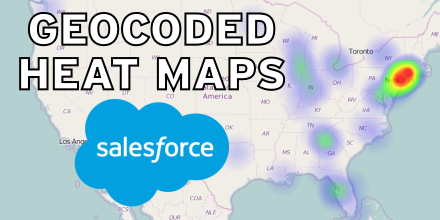 One of the cool new features in Summer ’16 is the ability to take a built in (or custom) address and automatically get that addresses latitude and longitude with SOQL (Read More). So took this as an opportunity to learn some more about it as well as some other mapping technologies. So for this my goal was to be able to create a heatmap of all the contact’s location under an account and place this on the account page. Let’s take a look at our controller for our Visualforce page. * @return If the contact is "nearby"
The first two methods just provide us with the ability to calculate the distance (in miles) between two points. Then we have the ContactGeo class. This stores a point on the map for our contact location as well as the number of contacts that are nearby. The class has a helper method to compare it to another contact to see if they are considered nearby. Now that we have our backing controller, let’s actually generate the heatmap. The data that was used to generate this came from a little more than 50 contacts with randomized addresses provided by randomlists. The code runs pretty fast for this account (less than 5s from page load to completion). I don’t know how well this will scale. I would suggest that you determine a better way to do the distance comparisons. Some ideas that I had were to break them into zones (something akin to MGRS) and pre-calculate the addresses zone and store it on the record at insert / update. This would make loading this as fast as just reading all the records and transferring them back. 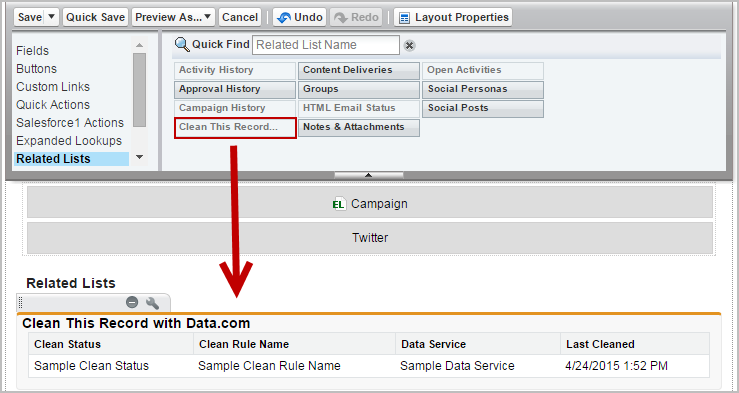 This entry was posted in Development, Salesforce and tagged apex, mapping, Salesforce. Bookmark the permalink.